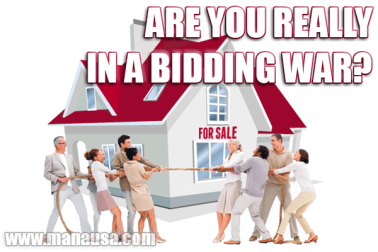 I ask you this, because if you plan on buying a home in Tallahassee within the next few months, you are likely to be told that you are bidding against another buyer for the home. But will that be truth? So you find the home of your dreams and decide to make an offer. 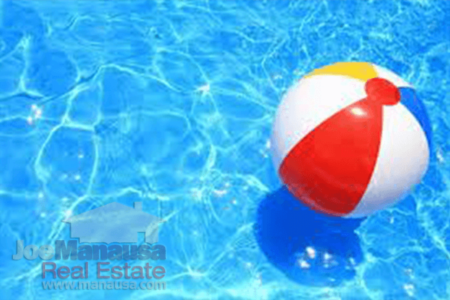 Your agent writes up the offer and calls the listing agent to submit the offer. The listing agent says (or so you are told by your buyer's agent) that the seller has already received another offer, and asks if you want to strengthen your offer before it is given to the seller to consider? Here's where the anxiety of buying a home can get to you. Can you trust what you are being told? If the seller really has another offer, and your offer is not as good, you will likely lose the home. If the seller has a really weak offer and you do nothing, you'll likely get the home or at least get a counter offer. If the seller does not have an offer and was just bluffing, you might end up increasing your offer based upon a bluff. There is where you find out whether or not you properly selected the right real estate agent to help you buy a home. Did you just "work with a friend" because she had time to show you homes? Or did you work with "the guy assigned to you" when you called on a listing? A buyer's agent who does several transactions each month knows most of the listing agents in the market and has a great working relationship with them. It is not likely a super-star buyer's agent will get played (successfully lied to) by a listing agent. In other words, a solid buyer's agent will have a good feel for whether or not there actually is another offer. A buyer's agent will have already prepared you for this situation when you reviewed the supply and demand for homes like the one that you are seeking. Understanding market conditions for your specific home before you select one is a great way to ensure you do not under-bid or over-bid on a home. Your offer will include a letter with proof of funds for closing, which will make your offer stronger than those coming from other buyers which require them to obtain loan approval. Your initial offer will be perfect for the scenario, giving you the greatest likelihood of being the buyer in the control seat. A well-trained buyer's agent will show you exactly where to "come in" when it is likely that other buyers will be bidding against you. Your walk-away figure will be predetermined. A buyer's agent who understands market conditions through training and repetition will know the value range on the home you like, and will encourage you to end the bidding when you get to a point higher than you should be paying for the home. It's really all about the process of buying a home. Prepare yourself for what you are about to face, and arm yourself with the best real estate buyer's agent in the market. Remember, the seller is going to pay for your agent, why not get the best one working for you? When it comes time to buy a home, the negotiation will commence. Both the seller and the buyer(s) will have an agent negotiating on their behalf. 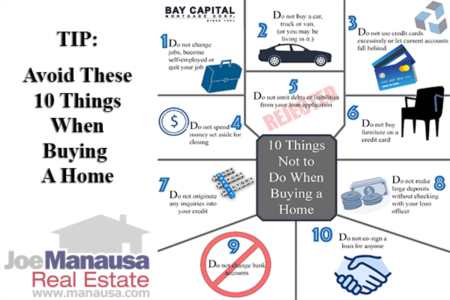 Make sure you have selected wisely, well before you get to this point, or you will be another victim of a poor home buying process.